Stereotypes can be either good or bad, but you can actually use the good stereotypes to your advantage. One common stereotype about glasses is that the individual wearing them has a higher level of intelligence, and while poor eyesight is not scientifically an indicator of this, you can still use this association to your benefit! There is a great variety of face sizes, face shapes, and eye shapes among people, so you need to be sure that the frames you are picking are the right ones for your face. An ill-fitting pair of glasses can completely shoot down the successful look you are aiming for, so be sure to choose frames that highlight your best features and also have a professional look to them. Depending on the structure of your face, you may be better off with rimless glasses or with less subtle, thick-rimmed glasses. The key is to choose a pair of glasses that provides you with the confidence you need to give off that successful demeanor. Multiple studies show that people who wear glasses are perceived as having higher intelligence and success. Use this perception to your benefit by acting the part, even if you haven’t achieved all your goals yet. If you hold your head high and walk with confidence, this will enforce people’s assumption that you have the intelligence and success that is associated with wearing glasses. Next time someone you wish to impress comes around, sit up straight and get to work doing something that keeps you busy, so that they notice you have focus and determination regarding your work. Maintain eye contact when meeting someone new, and provide a firm handshake. These basics are tips you can use even if you don’t wear glasses, but they are especially important if you are seeking to maintain the stereotype associated with glasses. Dressing professionally and keeping your hair fixed nicely is another way to enforce this idea in professional situations such as the workplace. As much as the idea is discouraged, most people assume a lot from the outward appearance of individuals they are meeting for the first time. The best way to influence the people you meet to see you as being successful and having your life together is to dress and appear like that’s true. This means more than just the clothes you wear, but also hygiene, hair, and posture. You can either disguise a nice pair of glasses behind sloppy hair and clothes, or dress them up to reinforce the ideas of success and a put-together life. In order to look more successful when wearing glasses, the key is to choose the right frames for your face, and to look and act the part as well. These tips will assist you in the workplace, college classrooms, and anywhere else you are looking to make a positive impression! Your own personal preference and style may come into play when deciding whether to wear contact lenses or glasses, but there are many reasons why you should consider contacts! They offer many benefits that just aren’t the same with glasses, such as exercise, field of vision, lack of fog, and other advantages! With any sport or workout routine, glasses just get in the way and present potential risks to the wearer. When wearing contacts, you can run or play sports with no worries of your glasses sliding off or getting hit by a ball or person. For any athlete, contacts offer a multitude of benefits to make their exercise routines less of a hassle. This is why many professional athletes prefer contacts over glasses when performing at whatever they do best! Contact lenses conform to the shape of your eye, and don’t have all the obstructive materials that glasses do, which allows for an uninterrupted view of whatever you are looking at. No more sliding your glasses up and down to see properly out of them. Instead, have a wider field of vision at all times with contacts! You will have great peripheral vision than you ever did with glasses, and no more blind spots that the frames of the glasses block or intrude on. Have you ever taken a sip of a hot drink, and then had your glasses fog up completely? Or perhaps you stepped outside on a cold day and suddenly couldn’t see through the glasses lens! With contacts, you can drink all the hot drinks you want and still be able to see properly! They won’t be affected by temperature changes or the rain and snow, so you will be able to avoid that hassle in whatever climate you live in. When wearing glasses, your eyes are often hidden behind thick frames, so people can’t see your natural eyes! Contacts don’t detract from the natural beauty of your eyes, but rather take away the obstruction from your face so that people can see you better! If you wear contacts, you don’t have to worry about the hassle of buying prescription sunglasses to swap out for your regular glasses. You’ll be able to wear goggles and any other eye wear that otherwise would have just been an annoyance when wearing glasses. At the very least, by choosing contacts over glasses, you will experience relief from the both of glasses and all the annoyances that they may present. You won’t have to deal with the glasses sliding down your nose constantly, or making your head hurt from the way they sit on your ears. There are also benefits to wearing glasses, which is why many individuals still choose to wear them, but the advantages of contacts are incomparable when considering all the different scenarios in which they benefit the user. 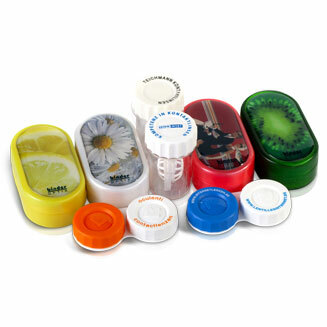 To protect and care for your contacts, find a quality contact lens case from Optipak that best fits your preferences! If you run either a store that contains eye wear or a vision center you may be interested in offering contact lens cases to your consumers. There are a few different options you can consider when looking into contact lens distributors, however, when you do so you need to take a few things into consideration. Below in this article you will be able to learn a few different tips to consider when trying to find a contact lens supplier. You might not think that the rating and reviews for contact lens distributors is important. However, it is more important that you imagine. After all, buying a product from a company that doesn’t have a great reputation is not a good idea, and when it is a product that holds something as important as contact lens it can pose a safety risk. Therefore, by making a purchase with an ill reputable company can be a bad decision. Always make sure the contact lens supplier you will be ordering from has a long standing reputations as well as good ratings and reviews. In this day and age, we are all so busy, in order to save us time and money we look for convenience. It can be hard to get this because not every place is a one stop shop This can mean you have to shop online on several different websites before you find all the products you need. In order to prevent all that wasted time, check out companies such as Optipak. They offer everything you can dream of when it comes to contact lens cases. They have a wide variety of colors, sizes, and designs. This means you can get everything in one spot and buy in bulk to get it cheap! What is better than that, you get to save time and money in one spot. Contact lens are important for those of us who have bad vision or even want to change their eye color. Everyone who has contact lens also need a case to store them in for safekeeping. Therefore, if you offer cases and purchase them online for cheap you will be able to see your profit margin sky rocket. If you have any questions, comments, or concerns, feel free to contact Optipak today. They are one of the world’s leaders in contact lens distributors. As you might probably know you are supposed to clean or soak your contact lenses on a regular basis. But what about caring for your contact lens case? When you do not follow the proper steps to clean a contact lens case it can become a breeding ground for bacteria and other critters which can possibly can result in an infection via your contact lens case. After inserting in your contact lenses, empty all lens solution from the contact lens case (never re-use your contact lens solution). Rinse the contact lens case with clean lens solution and rub the inside of the contact lens case with your clean fingers. Dry your contact lens case by turning it upside down without the caps on until you’re ready to store the contact lenses again. If your case has silver nitrate lining, keep the contact lens caps on. If necessary, you can occasionally use the dishwasher to disinfect your contact lens case or you can boil it on the stove for five minutes to achieve the same result. If you stick to these guide lines and look after your contact lens cases then they will look after your eyes… after all you only have one pair. Optipak are the world leaders in the manufacturer of contact lens accessories and all our products are manufactured under strict medical guidelines. If you’re tired of having to frequently replace your contacts and are wondering if there was really a way to extend their lifespan, you’ll be reading your answer within the next few words: with the proper and a consistent cleaning routine, you may succeed in extending the life of your dearest contact lenses. Do you remember the step-by-step routine the eye doctor showed you about caring for your lenses the first time you got them? That’s one of the first things that will be addressed—you actually have to do that, routinely, exactly as the doctor showed you if you want to get all the life out of your lenses. Don’t try to cheat time and skip a step. Always wash your hands before moving to handle your lenses. Your hands carry plenty of bacteria you don’t want touching your eye, as it can lead to increase the risk of infection, irritation, reddening, or just plain old discomfort. Get rid of all that nastiness while you can, and then you can get to handling those contacts you’re dying to touch. Clean your contacts daily. This part is probably the most important part of the contact care routine and you are not allowed, under any circumstances, to skip it. Do not attempt in using any generic cleaning brand or solution either unless you are absolutely sure about what’s in it or that it will work for you. Otherwise, use brands that will guarantee a positive experience and won’t trigger any possible allergies or cause you any discomfort. Don’t use tap water when cleaning your contact lenses. It might seem like it doesn’t do any harm at first, but remember when your zany science teacher told you, you drink live organisms if you drank tap water? Yeah. It might be okay to drink it, but you don’t want that on your contact lenses. With those out of the way, once you’re done and set, you can wear your contact lenses. The day is going fine, the world is brighter, and everything seems great. Then you get home, and all you want to do is collapse straight on your bed and catch some well-deserved rest. Here’s the thing—you need to take off your contact lenses. For many people who wear contact lenses, they believe there is no longer a need for eyeglasses. This could not be further from the truth. Even if you have switched over to contact lenses, it doesn’t mean that you should throw out your eyeglasses. In fact, you want to keep them in a safe place so that you can go back to them should you need to. Even if you think you will never have a need to wear eyeglasses again, you are wrong. Glasses offer many advantages over contacts that should be remembered. Here are three reasons why you should always keep a spare set of glasses handy just in case. Should you encounter an eye injury or eye trauma, you will need to allow your eyes to properly heal. This could mean going without contacts for days or even weeks. When you are constantly messing with your eyes and trying to put in your contacts, you could irritate them further. Instead of making the matter worse, you want to give your eyes a break. This is when you should switch over to a pair of eyeglasses. This allows your eyes to heal without irritating them. Even if you are not suffering from a major infection or trauma, allergies have a way of irritating your eyes. By giving your eyes a break, you could end up feeling much better sooner. Sure, you have every intention of packing exactly what you need, but when you don’t have access to additional contacts, you need a backup source. When you go on a trip, you want to take the least possible supplies you need. You don’t want to have to carry all your contacts and risk them getting damaged or lost. Instead, you typically only take what you need while you are on vacation. In case the ones you do bring along tear or get damaged, you want to have a backup plan. Having a pair of eyeglasses will help you get out of a tight situation. You don’t want to spend your entire vacation having a hard time seeing all the sights and sounds of the area. While contacts can be convenient and you don’t have to worry about keeping up with your glasses, they can also be boring. Not only are glasses very proficient in allowing you to see better, they can also be a great fashion statement. If you are looking to change up your look, glasses come in a variety of shapes and colors making it very easy to change how you look. Since glasses also give the impression that you are smarter, people are more likely to take you serious. This can be good if you are trying to get a job or get into a school. You want them to take you serious and glasses are one way to give off a more conservative look. The convenience of wearing contact lenses can far outweigh that of glasses. You don’t have to worry about them falling off and breaking like eyeglasses. Contact lenses tend to remain in your eyes until you take them out and are much sturdier than glasses. One of the drawbacks of choosing contact lenses over eyeglasses is the cute carrying cases you get to take along. While you won’t find as many options for contact carrying cases, there are plenty to choose from on the market. When choosing which contact case to purchase, you need decide what will be fashionable and functional all at the same time. Here are three ideas to help you in your search for the perfect contact carrying case. Clearly one of the most fashionable and functional contact cases on the market is the three tier eyeglass and contact case. The outside of the case comes in either black or red depending on your preference. If it is too plain for you, you can always add a decal to help dress it up. It is made of faux leather and is completely durable. You don’t have to worry about anything inside breaking should you accidently drop it. Inside, the case is more than functional. You have several compartments making it easy to keep everything organized. On one side, you are able to store your glasses where they will be kept safe and free from scratches. The other side you can store your contact lenses. On the contact lens side, the case comes with two vials where you can keep your solution, a pair of tweezers, a small contact lens case, and a mirror. This is everything you need when you are on the go and need to carry your eyewear with you. 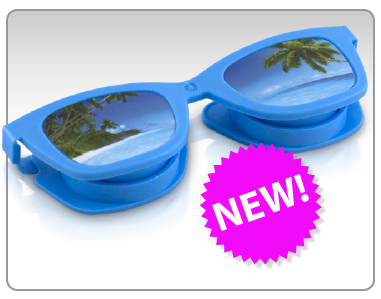 This is by far one of the most fashionable contact cases on the market. You have the option of choosing between four different colors including orange, blue, green, or purple. The colors are bright and you will have no problem spotting the case buried in your luggage. If you plan on traveling a lot, you will definitely want to have this case with you. Not only is this case fashionable, but it is very functional as well. In fact, you can pour your contact solution into the case and press a button to have it fill up your contacts. The solution will help keep your contacts moist for several weeks. Even better is that this case is TSA approved so you will have no problem carrying it onto your flight. 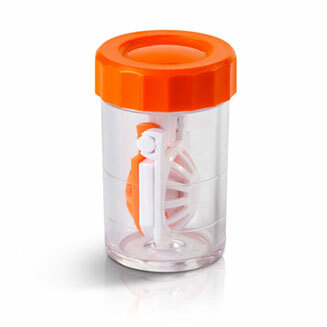 If you are looking for something a little smaller and a little more transferable, you will love the Kabaclip contact lens case. These small cases clip right onto your contact solution bottle making it easy for you to carry everything together in one hand. The 3 pack case offers several different colors so you can mix and match based on your mood. Every lucky visually impaired individual has had their moment when getting their contacts for the first time. They know exactly what this “moment” is referring to—learning how to clean and care for your contact lenses. Everyone’s favorite routine all thanks to no wanting to wear glasses (granted, some people just live a life where wearing glasses make it impossible to do the things they usually do). Though many contact wears don’t follow the routine step-by-step, and be honest with yourself, it goes unsaid that it’s all in the solution and the cleaner. When some people go for getting the generic brand contact solution or cleaner, they’re playing a game of Russian roulette with their own vision. The truth is you don’t really know what you’re getting with a generic brand. Nine times out of ten, it’s best to stick with whatever the doctor recommends. If he says that this specific brand will be the best for your eyes, then that’s most likely true. However, if it doesn’t work for you, then what are the best cleaners for contact lenses? Well, look no further! Check out the list below for a few of the best cleaners out there. One of the most top-rated cleaners on Amazon, people rave about its ability to work on their particular sensitive eyes without triggering their allergies. One of the best features of this cleaner, as according to the reviews is its phenomenal ability to remove any deposits and keep the contacts clean throughout the day. Being hydrogen peroxide-based, it will require a neutralization process after disinfecting the lens, and before you put them in. The reason for this is because even though it is very effective in disinfecting your lenses, it can cause eye injury as hydrogen peroxide to your cornea. However, they are preservative-free and are popular among people who may be sensitive to any preservatives found in the solution. A pH-balance, multi-purpose cleaner designed to be just like your natural tears, meaning it’s meant for people who are cursed with dry and sensitive eyes. This cleaner will help in the prevention of certain tear proteins denaturing, and will fight germs to ensure healthy contact wear. These three cleaners cover basic types of cleaners you should explore before going for the cheaper, generic brand you have your eyes on. The adjustment you should make is to keep your eyes away from the price tag, and to keep it on what’s in the cleaner and if you want that in your eyes. Examine the types of eyes you have too. Do you have an unfortunate case of dry eyes? Do they get red easily, or irritated? Are there any allergies you need to worry about, or have addressed with your doctor? All of these little details play into buying the perfect cleaner for you. Don’t ignore how your body reacts to something, and always do research before making a purchase. Having a leak proof contact lens case is perfect for those who are always on the go; people who travel frequently, or children. 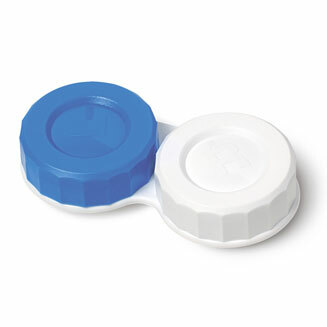 Leak proof contact lens cases prevent solution from leaking in a bag or backpack, as well as the transfer of solution from one side of the case to the other. Knowing where to look when shopping for a leak proof contact lens case can be hard, especially when there are places that sell contact lens cases that are made of cheap plastic and are more likely to break or leak instead of durable ones. If you are in the market for a new contact lens case, look for a leak proof one, they are much more reliable than other models, especially if you tend to take your case with you. 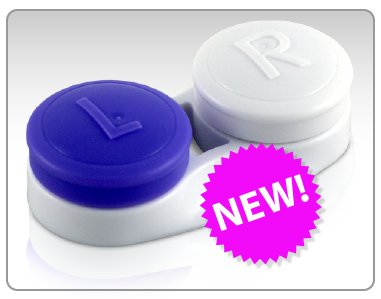 Many places online will sell leak proof contact lens cases, but start your search at Optipak. 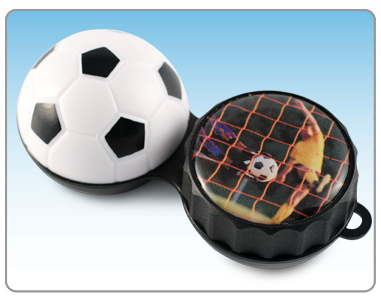 Optipak is a contact lens case manufacturer that prides itself on making each case an FDA approved contact lens case. 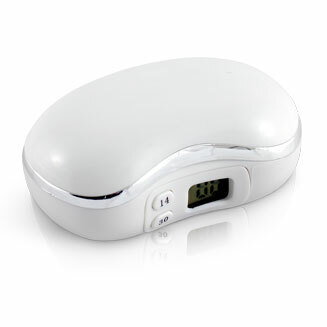 Because these cases are FDA approved, they are sure to last you a long time and be made of a safe, flexible plastic. Optipak makes leak proof lens cases in a variety of styles ranging from flat contact lens cases and barrel cases, to flip top lens cases and mirror cases. Thanks to Optipak’s advanced technology, their contact lens cases are durable, clean, and safe for your contact lenses and your eyes. You will not have to worry about solution leaking out of your case or breaking the case. When you first go to the optometrist to get your contact lenses, he or she will provide you with solution and a contact lens case. The optometrist will also give you some tips on how to store your contact lenses at night and how to clean them daily. You can also go back to your optometrist and ask for a replacement contact lens case in the event that your current case has broken, been lost, or if you have already had your case for a while. Contact lens cases should be replaced every three months in order to keep your lenses clean. Getting a leak proof contact lens case from your optometrist is a good idea since he or she will have a selection of cases that are made from safe plastics. You can also go to your local drugstore to find a leak proof contact lens case. When you buy contact lens solution at a drugstore, there is usually a contact lens case attached to it, which gives you the option to replace your existing contact lens case with a new one. Even if you already have a new leak proof contact lens case, you should always keep an extra one around. You can toss the extra case in a toiletry bag when you travel or keep it in your bathroom in case you ever need a new one. After you find a leak proof contact lens case, you should replace your old case with it. 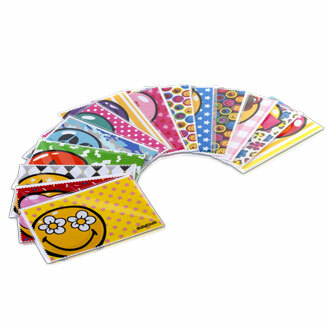 This will help you keep your contact lenses clean and your eyes happy. Contact your optometrist for more help if you are having trouble finding a place that carries leak proof contact cases made from safe plastic.